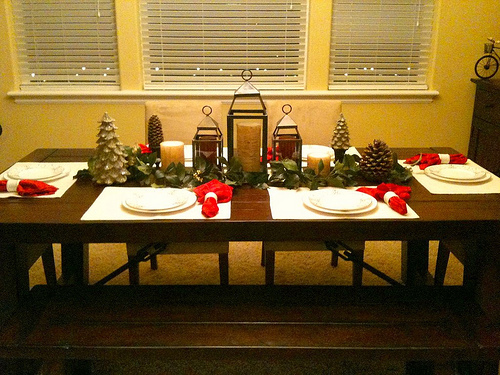 your table set up looks AMAZEBALLS! it's so big and perfect for decorating!! also adore your white stockings from PB. i never thought to check there for stockings. thanks for the heads up! Oh it all looks sooo lovely!!! I LOVE your tablescape! One of these years i'll be doing a beautiful scene like that in my home! Mess? 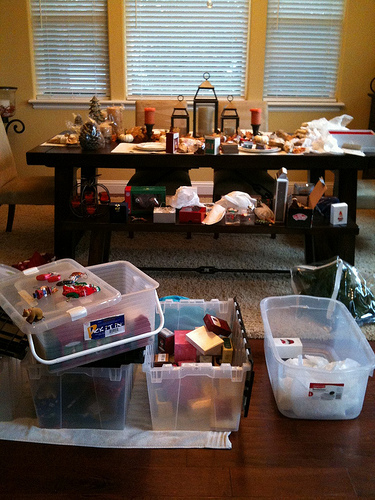 What mess? You wanna see chaos I will take a picture of our 4th bedroom...aka the room where all the crap goes! Haha! Looking great! I'm jealous of your stockings, I went to order those and they were sold out...boo! Looks so great! I have been buying ornaments for my little girl every year too. My family did the same and I love looking at mine. Love your decorations Tracy!! And those stockings! I need to find some for Rich and I!! Don't be too hard on your decorations..they are awesome, you did a great job! 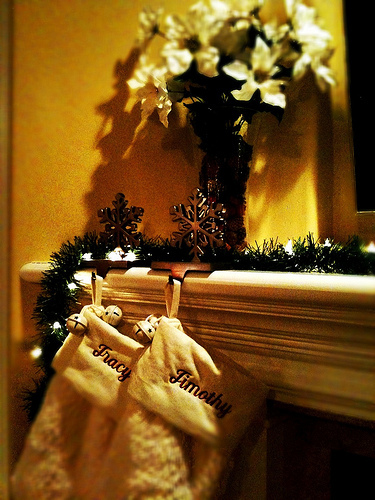 your stocking are soo my style! love. i just posted up my decor too! SO PRETTY! Loving the decor and the tree! My favorite is what you did with the vases, etc... So gorgeous! your house looks great my dear!! and i do believe i recognize that dining room table--do you not LOVE it??? looks so pretty! 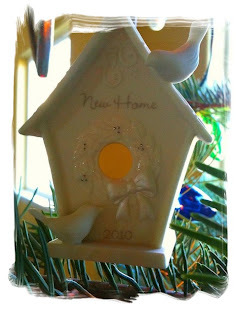 i love the idea of collecting ornaments over the years, we do the same thing! I really like your stockings!!! love everything!!! 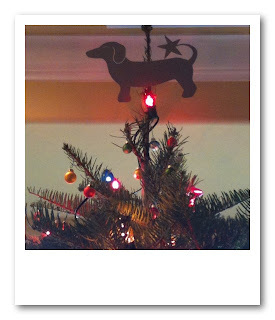 especially the wiener dog ornaments! Your decor looks beautiful! The mess is always worth the outcome! Oh my goodness...I looooove your tree topper!! So cute! 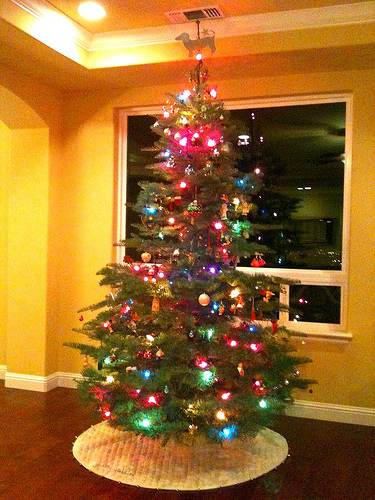 Your whole tree is pretty! hahah oh my goodness of course that's your "star" of the tree! TRACY! Please post more pictures of you beautiful new home! I've been dying to see it! 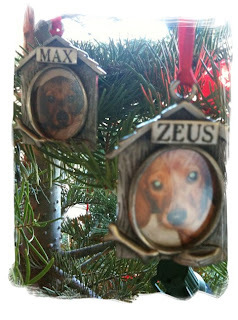 Everything is looking beautiful, love your tree and cute pictures of the pups! 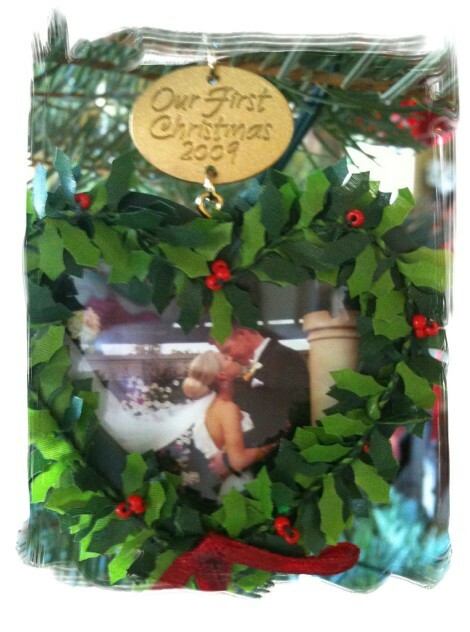 Also love your wedding pic ornament too lady! 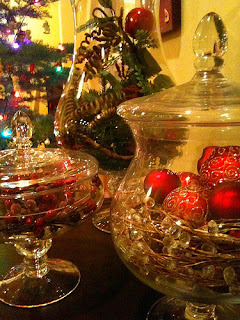 I LOVE the vases - I think your whole house looks wonderfully festive! oooh and I love those vases! i love even more that you're dog parents ;) ha can't get enough of the ornaments! Such pretty decorations! :) Love that tree topper...our pup has quite a few ornaments on our tree, too. I'm all about the role of puppy-mom. You can join the link-up at my place if you'd like. 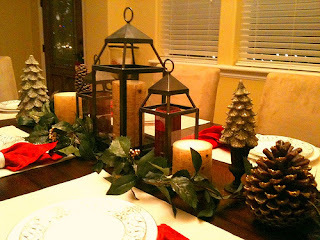 We're linking up our decor today! :) So glad to find your blog!